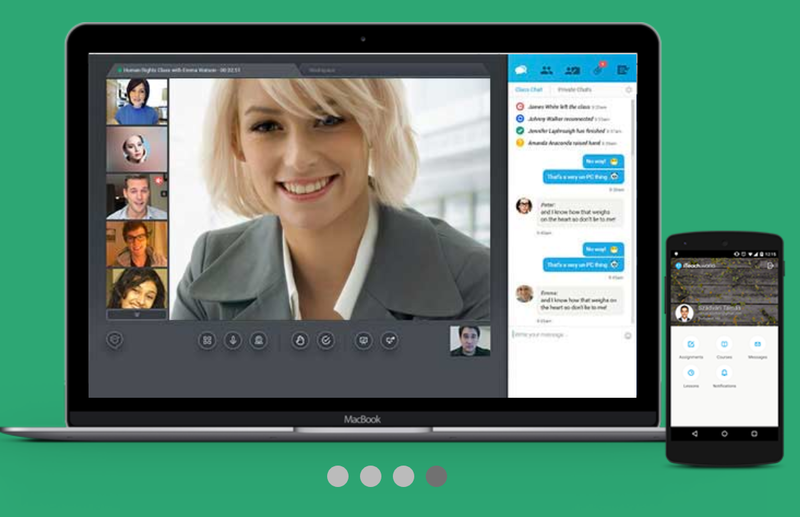 Creating computer based materials can be incredibly time consuming and also very frustrating as websites and web based content can change so quickly, that's why it is always so nice to discover tools like Textivate which can enable you to create instant interactivity using almost any text you find from around the web. 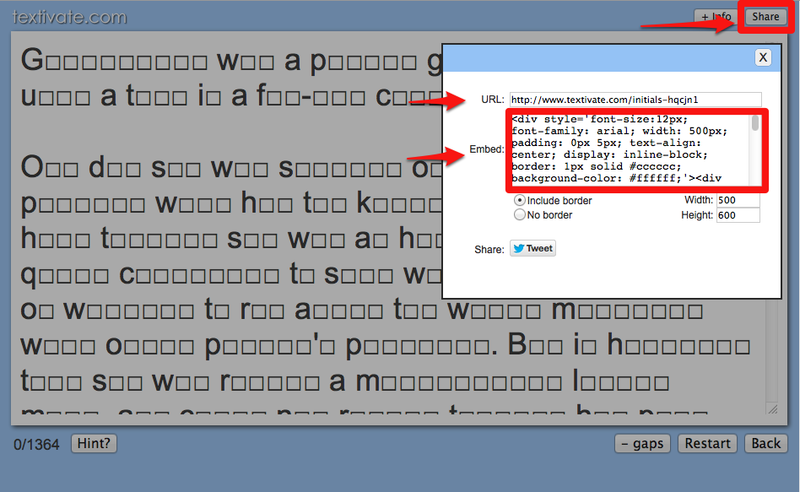 All you need to do is copy and paste your text into the Textivate window and then click on 'textivate now'. 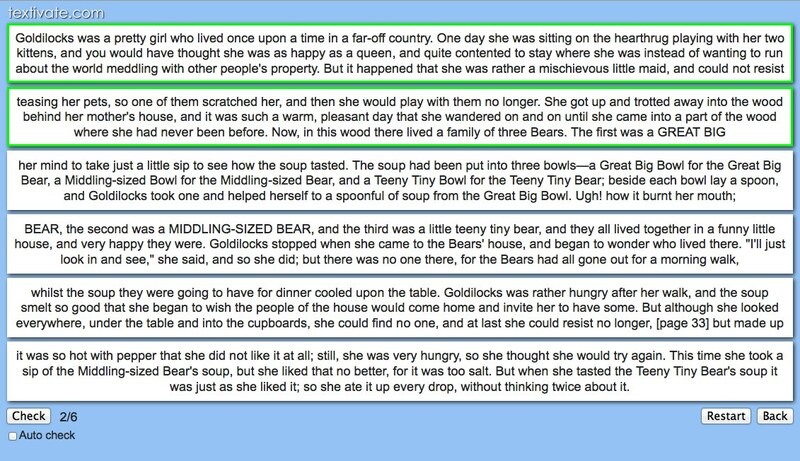 Here you can see some text I have copied from the Goldilocks story which I found on the Project Gutenberg site. Now I get a range of different exercise types to choose from. All I have to do to generate the exercise is to click on one of the square and I instantly have an interactive activity. 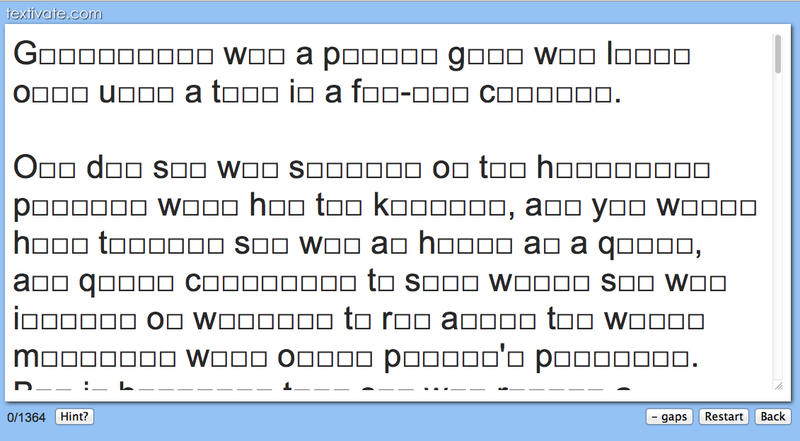 You can also have the text arranged vertically so that students drag and drop the parts into position. Some of my favourite task types it creates are the instant gapfill activity. If you sign up and register (for free) you can save the texts that you use in the activity and have access to texts that other users have uploaded. These activity types aren't new or revolutionary, but they do enable you to create instantly what a few years ago would have taken an experienced programmer hours to create. This means that you can change authentic web based reading texts into interactive texts and get them into your classroom on a projector or IWB in seconds. 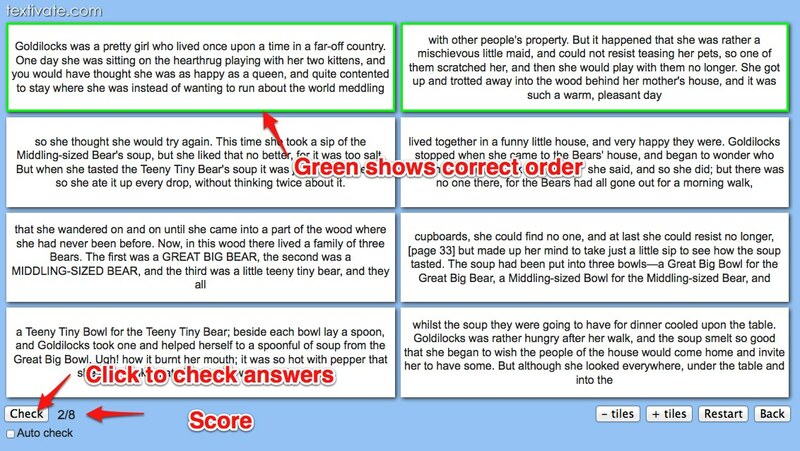 You can make this tool available to your students and get them testing and developing their own reading and syntactical skills on their own computer for homework. As I said, the activities aren't revolutionary or new, but they are useful ways of getting students to review texts and to look in more depth and the syntactical relationships between the words. 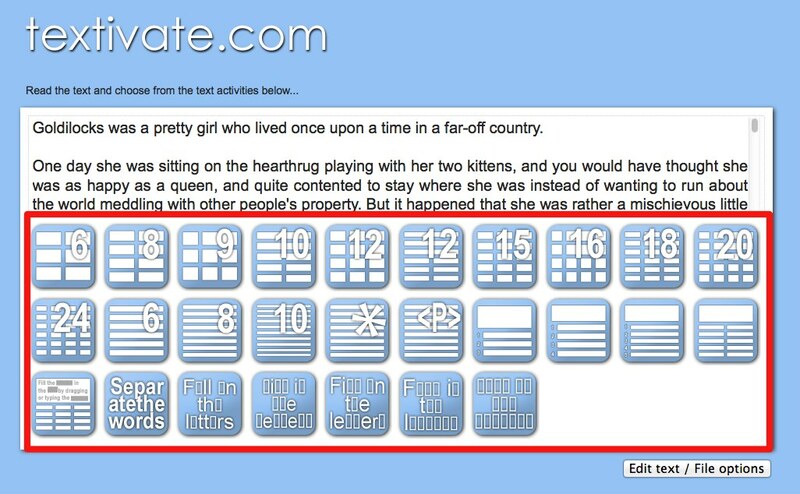 I hope you find Textivate useful and try out the full range of activities with your students.